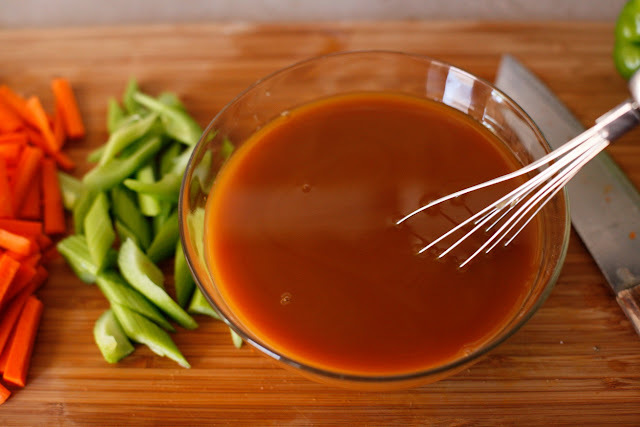 Sweet and Sour Sauce is a sauce made by combing a sweet component and a sour component with cornstarch as the thickening agent. Some of the common sweet components are brown sugar, granulated white sugar, and honey. Rice vinegar, white vinegar, apple-cider vinegar, and pineapple juice are some of the common ingredients used as sour component.This sweet and sour recipe will give you a good sauce with the right balance of flavors. 1. Combine all the ingredients in a saucepan. Bring to a boil and simmer for 5 minutes or until the sauce thickens. Serve in small bowls with snacks or appetizers like eggrolls. Keeps in the refrigerator for a week.